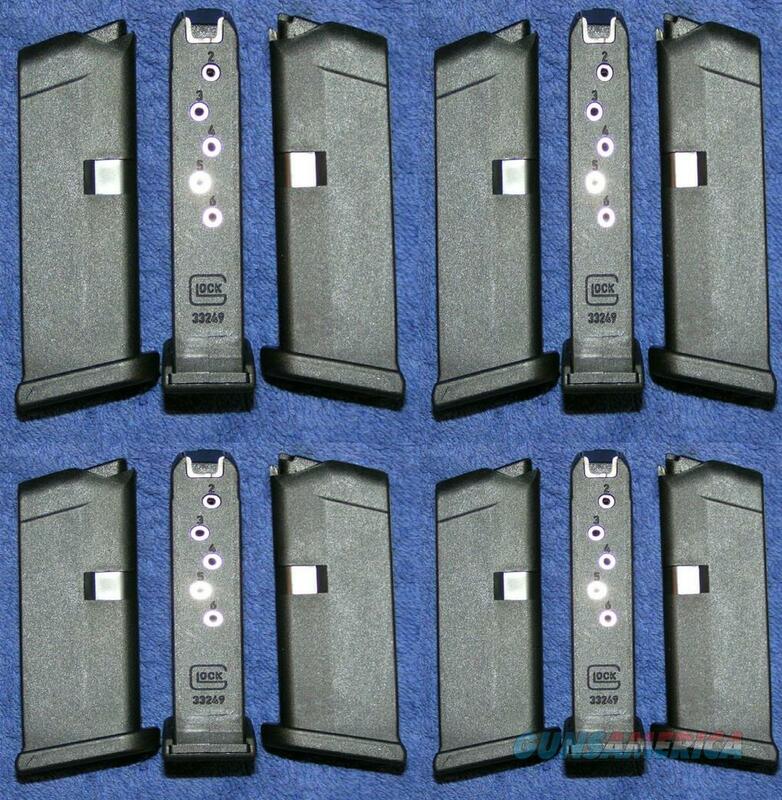 Description: Twelve new factory Glock 42 mags. Holds 6 rounds of .380. New, never inserted into a gun or loaded. Auction price is for a group of 12 mags. In stock, will ship right after payment received. I accept all credit cards, also cash, personal checks, company checks, money orders, cashier's checks, and bank checks and Paypal. No fee on credit card or paypal payments. $12 shipping. Florida residents add 7%. I combine shipping. Check out my other auctions. Rich. Check out my other listings. Rich.